"Rock Songs" redirects here. For information about rock songs, see Rock music. Since its introduction, 49 songs have reached the number-one position on the Rock Songs chart. Imagine Dragons have been the most successful group, having five songs to top the chart. Twenty One Pilots' song "Heathens" is the longest running number-one song, having spent a total of 30 consecutive weeks atop the chart. Imagine Dragons have also spent the longest time atop the chart, as their five number ones have spent a combined 104 weeks at the summit. Out of the 49 songs that hit number one, 12 have spent two separate runs atop the chart. Coldplay's "A Sky Full of Stars" is the only song to have returned to the top position for three distinct runs. Thirty different artists have topped the chart. The first number-one track on the chart was Green Day's "Know Your Enemy". Panic! at the Disco's single "High Hopes" is the most recent number-one single. Linkin Park has had three number-one songs and have spent 28 weeks atop the chart. The band also holds the record for most songs (23) to chart in a single week. The Black Keys' "Lonely Boy" spent 14 weeks atop the chart in 2011, and was later ranked as the year-end number-one song. 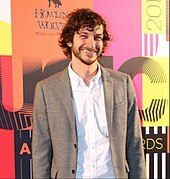 Gotye became the first solo artist to reach the number-one position, with the single "Somebody That I Used to Know" in 2012. Prince's single "Purple Rain" is the first posthumous number-one single. Twenty One Pilots' single "Heathens" holds the record for most consecutive weeks (30 weeks) at the summit. The Black Keys "Lonely Boy"
Twenty One Pilots "Stressed Out"
^ Songs that have appeared as the number-one rock song of the year, but did not reach number one on the weekly charts and thus are not included are Kings of Leon's "Use Somebody" (2009, No. 2 peak), and Rise Against's "Savior" (2010, No. 3 peak). ^ "Ozzy Osbourne's 'Scream' Is 'Greatest Gainer' On 'Rock Songs' Chart". Blabbermouth.net. 2010-04-20. Retrieved 2015-11-10. ^ Trust, Gary (2012-10-11). "Taylor Swift, Rihanna & PSY Buoyed by Billboard Chart Changes". Billboard. Prometheus Global Media. Retrieved 2015-11-20. ^ "Billboard Charts Legend". Billboard.biz. Billboard. Retrieved 2015-11-12. ^ "Billboard Rock Songs – 2009 Year End Charts". Billboard. Prometheus Global Media. Retrieved 2015-11-10. ^ "Billboard Rock Songs – 2010 Year End Charts". Billboard. Retrieved 2015-11-10. "Billboard Rock Songs for Week of June 20, 2009". Billboard. Retrieved 2013-01-26. "Billboard Rock Songs for Week of June 27, 2009". Billboard. Retrieved 2013-01-26. "Billboard Rock Songs for Week of July 4, 2009". Billboard. Retrieved 2013-01-26. "Billboard Rock Songs for Week of July 11, 2009". Billboard. Retrieved 2013-01-26. "Billboard Rock Songs for Week of July 18, 2009". Billboard. Retrieved 2013-01-26. "Billboard Rock Songs for Week of July 25, 2009". Billboard. Retrieved 2013-01-26. "Billboard Rock Songs for Week of August 1, 2009". Billboard. Retrieved 2013-01-26. "Billboard Rock Songs for Week of August 8, 2009". Billboard. Retrieved 2013-01-26. "Billboard Rock Songs for Week of August 15, 2009". Billboard. Retrieved 2013-01-26. "Billboard Rock Songs for Week of August 22, 2009". Billboard. Retrieved 2013-01-26. "Billboard Rock Songs for Week of August 29, 2009". Billboard. Retrieved 2013-01-26. "Billboard Rock Songs for Week of September 5, 2009". Billboard. Retrieved 2013-01-26. "Billboard Rock Songs for Week of September 12, 2009". Billboard. Retrieved 2013-01-26. ^ Chart references for "Check My Brain"
"Billboard Rock Songs for Week of September 19, 2009". Billboard. Retrieved 2013-01-27. "Billboard Rock Songs for Week of September 26, 2009". Billboard. Retrieved 2013-01-27. "Billboard Rock Songs for Week of October 3, 2009". Billboard. Retrieved 2013-01-27. "Billboard Rock Songs for Week of October 10, 2009". Billboard. Retrieved 2013-01-27. "Billboard Rock Songs for Week of October 17, 2009". Billboard. Retrieved 2013-01-27. "Billboard Rock Songs for Week of October 24, 2009". Billboard. Retrieved 2013-01-27. "Billboard Rock Songs for Week of October 31, 2009". Billboard. Retrieved 2013-01-27. "Billboard Rock Songs for Week of November 7, 2009". Billboard. Retrieved 2013-01-27. "Billboard Rock Songs for Week of November 14, 2009". Billboard. Retrieved 2013-01-27. "Billboard Rock Songs for Week of November 21, 2009". Billboard. Retrieved 2013-01-27. "Billboard Rock Songs for Week of November 28, 2009". Billboard. Retrieved 2013-01-27. "Billboard Rock Songs for Week of December 5, 2009". Billboard. Retrieved 2013-01-27. "Billboard Rock Songs for Week of December 12, 2009". Billboard. Retrieved 2013-01-27. "Billboard Rock Songs for Week of December 19, 2009". Billboard. Retrieved 2013-01-27. "Billboard Rock Songs for Week of December 26, 2009". Billboard. Retrieved 2013-01-27. "Billboard Rock Songs for Week of January 2, 2010". Billboard. Retrieved 2013-01-27. "Billboard Rock Songs for Week of January 9, 2010". Billboard. Retrieved 2013-01-27. "Billboard Rock Songs for Week of January 16, 2010". Billboard. Retrieved 2013-01-27. "Billboard Rock Songs for Week of January 23, 2010". Billboard. Retrieved 2013-01-27. "Billboard Rock Songs for Week of January 30, 2010". Billboard. Retrieved 2013-01-27. "Billboard Rock Songs for Week of February 6, 2010". Billboard. Retrieved 2013-01-27. "Billboard Rock Songs for Week of February 13, 2010". Billboard. Retrieved 2013-01-27. "Billboard Rock Songs for Week of February 20, 2010". Billboard. Retrieved 2013-01-27. "Billboard Rock Songs for Week of February 27, 2010". Billboard. Retrieved 2013-01-27. ^ Chart references for "Your Decision"
"Billboard Rock Songs for Week of March 6, 2010". Billboard. Retrieved 2013-01-27. "Billboard Rock Songs for Week of March 13, 2010". Billboard. Retrieved 2013-01-27. "Billboard Rock Songs for Week of March 20, 2010". Billboard. Retrieved 2013-01-27. "Billboard Rock Songs for Week of March 27, 2010". Billboard. Retrieved 2013-01-27. "Billboard Rock Songs for Week of April 3, 2010". Billboard. Retrieved 2013-01-27. "Billboard Rock Songs for Week of April 10, 2010". Billboard. Retrieved 2013-01-27. "Billboard Rock Songs for Week of April 17, 2010". Billboard. Retrieved 2013-01-27. "Billboard Rock Songs for Week of April 24, 2010". Billboard. Retrieved 2013-01-27. "Billboard Rock Songs for Week of May 1, 2010". Billboard. Retrieved 2013-01-27. "Billboard Rock Songs for Week of May 8, 2010". Billboard. Retrieved 2013-01-27. "Billboard Rock Songs for Week of May 15, 2010". Billboard. Retrieved 2013-01-27. "Billboard Rock Songs for Week of May 22, 2010". Billboard. Retrieved 2013-01-27. "Billboard Rock Songs for Week of May 29, 2010". Billboard. Retrieved 2013-01-27. "Billboard Rock Songs for Week of June 5, 2010". Billboard. Retrieved 2013-01-27. "Billboard Rock Songs for Week of June 12, 2010". Billboard. Retrieved 2013-01-27. "Billboard Rock Songs for Week of June 19, 2010". Billboard. Retrieved 2013-01-27. "Billboard Rock Songs for Week of June 26, 2010". Billboard. Retrieved 2013-01-27. "Billboard Rock Songs for Week of July 3, 2010". Billboard. Retrieved 2013-01-27. "Billboard Rock Songs for Week of July 10, 2010". Billboard. Retrieved 2013-01-27. "Billboard Rock Songs for Week of July 17, 2010". Billboard. Retrieved 2013-01-27. "Billboard Rock Songs for Week of July 31, 2010". Billboard. Retrieved 2013-01-27. "Billboard Rock Songs for Week of August 7, 2010". Billboard. Retrieved 2013-01-27. "Billboard Rock Songs for Week of August 14, 2010". Billboard. Retrieved 2013-01-27. "Billboard Rock Songs for Week of July 24, 2010". Billboard. Retrieved 2013-01-27. "Billboard Rock Songs for Week of August 21, 2010". Billboard. Prometheus Global Media. Retrieved 2013-01-27. "Billboard Rock Songs for Week of August 28, 2010". Billboard. Retrieved 2013-01-27. "Billboard Rock Songs for Week of September 4, 2010". Billboard. Retrieved 2013-01-27. "Billboard Rock Songs for Week of September 11, 2010". Billboard. Retrieved 2013-01-27. "Billboard Rock Songs for Week of September 18, 2010". Billboard. Retrieved 2013-01-27. "Billboard Rock Songs for Week of September 25, 2010". Billboardaccessdate=2013-01-27. "Billboard Rock Songs for Week of October 2, 2010". Billboard. Retrieved 2013-01-27. "Billboard Rock Songs for Week of October 9, 2010". Billboard. Retrieved 2013-01-27. "Billboard Rock Songs for Week of October 16, 2010". Billboard. Retrieved 2013-01-27. "Billboard Rock Songs for Week of October 23, 2010". Billboard. Retrieved 2013-01-27. "Billboard Rock Songs for Week of October 30, 2010". Billboard. Retrieved 2013-01-27. "Billboard Rock Songs for Week of November 6, 2010". Billboard. Retrieved 2013-01-27. "Billboard Rock Songs for Week of November 13, 2010". Billboard. Retrieved 2013-01-27. "Billboard Rock Songs for Week of November 20, 2010". Billboard. Retrieved 2013-01-27. "Billboard Rock Songs for Week of December 11, 2010". Billboard. Retrieved 2013-01-27. "Billboard Rock Songs for Week of November 27, 2010". Billboard. Retrieved 2013-01-27. "Billboard Rock Songs for Week of December 4, 2010". Billboard. Retrieved 2013-01-27. "Billboard Rock Songs for Week of December 18, 2010". Billboard. Retrieved 2013-01-27. "Billboard Rock Songs for Week of December 25, 2010". Billboard. Retrieved 2013-01-27. "Billboard Rock Songs for Week of January 1, 2011". Billboard. Retrieved 2013-01-27. "Billboard Rock Songs for Week of January 8, 2011". Billboard. Retrieved 2013-01-27. "Billboard Rock Songs for Week of January 15, 2011". Billboard. Retrieved 2013-01-27. "Billboard Rock Songs for Week of January 22, 2011". Billboard. Retrieved 2013-01-27. "Billboard Rock Songs for Week of January 29, 2011". Billboard. Retrieved 2013-01-27. "Billboard Rock Songs for Week of February 5, 2011". Billboard. Retrieved 2013-01-27. "Billboard Rock Songs for Week of February 12, 2011". Billboard. Retrieved 2013-01-27. "Billboard Rock Songs for Week of February 19, 2011". Billboard. Retrieved 2013-01-27. "Billboard Rock Songs for Week of February 26, 2011". Billboard. Retrieved 2013-01-27. "Billboard Rock Songs for Week of March 5, 2011". Billboard. Retrieved 2013-01-27. ^ "Billboard Rock Songs – 2011 Year End Charts". Billboard. Retrieved 2013-01-27. "Billboard Rock Songs for Week of March 12, 2011". Billboard. Retrieved 2013-01-27. "Billboard Rock Songs for Week of March 19, 2011". Billboard. Retrieved 2013-01-27. "Billboard Rock Songs for Week of March 26, 2011". Billboard. Retrieved 2013-01-27. "Billboard Rock Songs for Week of April 2, 2011". Billboard. Retrieved 2013-01-27. "Billboard Rock Songs for Week of April 9, 2011". Billboard. Retrieved 2013-01-27. "Billboard Rock Songs for Week of April 16, 2011". Billboard. Retrieved 2013-01-27. "Billboard Rock Songs for Week of April 23, 2011". Billboard. Retrieved 2013-01-27. "Billboard Rock Songs for Week of April 30, 2011". Billboard. Retrieved 2013-01-27. "Billboard Rock Songs for Week of May 7, 2011". Billboard. Retrieved 2013-01-27. "Billboard Rock Songs for Week of May 14, 2011". Billboard. Retrieved 2013-01-27. "Billboard Rock Songs for Week of May 21, 2011". Billboard. Retrieved 2013-01-27. "Billboard Rock Songs for Week of May 28, 2011". Billboard. Retrieved 2013-01-27. "Billboard Rock Songs for Week of June 4, 2011". Billboard. Retrieved 2013-01-27. "Billboard Rock Songs for Week of June 11, 2011". Billboard. Retrieved 2013-01-27. "Billboard Rock Songs for Week of June 18, 2011". Billboard. Retrieved 2013-01-27. "Billboard Rock Songs for Week of June 25, 2011". Billboard. Retrieved 2013-01-27. "Billboard Rock Songs for Week of July 2, 2011". Billboard. Retrieved 2013-01-27. "Billboard Rock Songs for Week of July 9, 2011". Billboard. Retrieved 2013-01-27. "Billboard Rock Songs for Week of July 16, 2011". Billboard. Retrieved 2013-01-27. "Billboard Rock Songs for Week of July 23, 2011". Billboard. Retrieved 2013-01-27. "Billboard Rock Songs for Week of July 30, 2011". Billboard. Retrieved 2013-01-27. "Billboard Rock Songs for Week of October 1, 2011". Billboard. Retrieved 2013-01-27. "Billboard Rock Songs for Week of October 8, 2011". Billboard. Retrieved 2013-01-27. "Billboard Rock Songs for Week of October 15, 2011". Billboard. Retrieved 2013-01-27. "Billboard Rock Songs for Week of October 22, 2011". Billboard. Retrieved 2013-01-27. "Billboard Rock Songs for Week of October 29, 2011". Billboard. Retrieved 2013-01-27. "Billboard Rock Songs for Week of November 5, 2011". Billboard. Retrieved 2013-01-27. "Billboard Rock Songs for Week of November 12, 2011". Billboard. Retrieved 2013-01-27. "Billboard Rock Songs for Week of August 6, 2011". Billboard. Retrieved 2013-01-27. "Billboard Rock Songs for Week of August 13, 2011". Billboard. Retrieved 2013-01-27. "Billboard Rock Songs for Week of August 20, 2011". Billboard. Retrieved 2013-01-27. "Billboard Rock Songs for Week of August 27, 2011". Billboard. Retrieved 2013-01-27. "Billboard Rock Songs for Week of September 3, 2011". Billboard. Retrieved 2013-01-27. "Billboard Rock Songs for Week of September 10, 2011". Billboard. Retrieved 2013-01-27. "Billboard Rock Songs for Week of September 17, 2011". Billboard. Retrieved 2013-01-27. "Billboard Rock Songs for Week of September 24, 2011". Billboard. Retrieved 2013-01-27. "Billboard Rock Songs for Week of November 19, 2011". Billboard. Retrieved 2013-01-27. "Billboard Rock Songs for Week of November 26, 2011". Billboard. Retrieved 2013-01-27. "Billboard Rock Songs for Week of December 3, 2011". Billboard. Retrieved 2013-01-27. "Billboard Rock Songs for Week of December 10, 2011". Billboard. Retrieved 2013-01-27. "Billboard Rock Songs for Week of December 17, 2011". Billboard. Retrieved 2013-01-27. ^ "Billboard Rock Songs – 2012 Year End Charts". Billboard. Retrieved 2013-01-27. ^ a b Chart references for "Lonely Boy"
"Billboard Rock Songs for Week of December 24, 2011". Billboard. Retrieved 2013-01-27. "Billboard Rock Songs for Week of December 31, 2011". Billboard. Retrieved 2013-01-27. "Billboard Rock Songs for Week of January 7, 2012". Billboard. Retrieved 2013-01-27. "Billboard Rock Songs for Week of January 14, 2012". Billboard. Retrieved 2013-01-27. "Billboard Rock Songs for Week of January 21, 2012". Billboard. Retrieved 2013-01-27. "Billboard Rock Songs for Week of January 28, 2012". Billboard. Retrieved 2013-01-27. "Billboard Rock Songs for Week of February 4, 2012". Billboard. Retrieved 2013-01-27. "Billboard Rock Songs for Week of February 11, 2012". Billboard. Retrieved 2013-01-27. "Billboard Rock Songs for Week of February 18, 2012". Billboard. Retrieved 2013-01-27. "Billboard Rock Songs for Week of February 25, 2012". Billboard. Retrieved 2013-01-27. "Billboard Rock Songs for Week of March 3, 2012". Billboard. Retrieved 2015-11-11. "Billboard Rock Songs for Week of March 10, 2012". Billboard. Retrieved 2013-01-27. "Billboard Rock Songs for Week of March 17, 2012". Billboard. Retrieved 2013-01-27. "Billboard Rock Songs for Week of March 24, 2012". Billboard. Retrieved 2013-01-27. "Billboard Rock Songs for Week of March 31, 2012". Billboard. Retrieved 2013-01-27. "Billboard Rock Songs for Week of April 7, 2012". Billboard. Retrieved 2013-01-27. "Billboard Rock Songs for Week of April 14, 2012". Billboard. Retrieved 2013-01-27. "Billboard Rock Songs for Week of April 21, 2012". Billboard. Retrieved 2013-01-27. "Billboard Rock Songs for Week of May 5, 2012". Billboard. Retrieved 2013-01-27. "Billboard Rock Songs for Week of May 12, 2012". Billboard. Retrieved 2013-01-27. "Billboard Rock Songs for Week of May 19, 2012". Billboard. Retrieved 2013-01-27. "Billboard Rock Songs for Week of April 28, 2012". Billboard. Retrieved 2013-01-27. "Billboard Rock Songs for Week of May 26, 2012". Billboard. Retrieved 2013-01-27. "Billboard Rock Songs for Week of June 2, 2012". Billboard. Retrieved 2013-01-27. "Billboard Rock Songs for Week of June 9, 2012". Billboard. Retrieved 2013-01-27. "Billboard Rock Songs for Week of June 16, 2012". Billboard. Retrieved 2013-01-27. "Billboard Rock Songs for Week of June 23, 2012". Billboard. Retrieved 2013-01-27. "Billboard Rock Songs for Week of June 30, 2012". Billboard. Retrieved 2013-01-27. "Billboard Rock Songs for Week of July 7, 2012". Billboard. Retrieved 2013-01-27. "Billboard Rock Songs for Week of July 14, 2012". Billboard. Retrieved 2013-01-27. "Billboard Rock Songs for Week of July 21, 2012". Billboard. Retrieved 2013-01-27. "Billboard Rock Songs for Week of July 28, 2012". Billboard. Retrieved 2013-01-27. "Billboard Rock Songs of Week of August 11, 2012". Billboard. Retrieved 2013-01-27. "Billboard Rock Songs of Week of August 4, 2012". Billboard. Retrieved 2013-01-27. "Billboard Rock Songs for the Week of August 18, 2012". Billboard. Retrieved 2013-01-27. "Billboard Rock Songs for Week of August 25, 2012". Billboard. Retrieved 2013-01-27. "Billboard Rock Songs for Week of September 1, 2012". Billboard. Retrieved 2013-01-27. "Billboard Rock Songs for Week of September 8, 2012". Billboard. Retrieved 2013-01-27. "Billboard Rock Songs for Week of September 15, 2012". Billboard. Retrieved 2013-01-27. "Billboard Rock Songs for Week of September 22, 2012". Billboard. Retrieved 2013-01-27. "Billboard Rock Songs for Week of September 29, 2012". Billboard. Retrieved 2013-01-26. "Billboard Rock Songs for Week of October 6, 2012". Billboard. Retrieved 2013-01-26. "Billboard Rock Songs for Week of December 15, 2012". Billboard. Retrieved 2013-01-26. "Billboard Rock Songs for Week of December 22, 2012". Billboard. Retrieved 2013-01-26. "Billboard Rock Songs for Week of December 29, 2012". Billboard. Retrieved 2013-01-26. "Billboard Rock Songs for Week of January 5, 2013". Billboard. Retrieved 2013-01-26. "Billboard Rock Songs for Week of January 12, 2013". Billboard. Retrieved 2013-01-26. "Billboard Rock Songs for Week of January 19, 2013". Billboard. Retrieved 2013-01-26. "Billboard Rock Songs for Week of January 26, 2013". Billboard. Retrieved 2013-01-26. "Billboard Rock Songs for Week of February 2, 2013". Billboard. Retrieved 2013-01-26. "Billboard Rock Songs for Week of February 9, 2013". Billboard. Retrieved 2013-01-31. "Billboard Rock Songs for Week of February 16, 2013". Billboard. Retrieved 2013-02-07. "Billboard Rock Songs for Week of February 23, 2013". Billboard. Retrieved 2013-02-14. "Billboard Rock Songs for Week of March 2, 2013". Billboard. Retrieved 2013-02-22. "Billboard Rock Songs for Week of March 9, 2013". Billboard. Retrieved 2013-02-28. "Billboard Rock Songs for Week of March 16, 2013". Billboard. Retrieved 2013-03-07. "Billboard Rock Songs for Week of March 23, 2013". Billboard. Retrieved 2013-03-15. "Billboard Rock Songs for Week of March 30, 2013". Billboard. Retrieved 2013-03-22. "Billboard Rock Songs for Week of October 13, 2012". Billboard. Retrieved 2013-01-28. "Billboard Rock Songs for Week of October 20, 2012". Billboard. Retrieved 2013-01-28. "Billboard Rock Songs for Week of October 27, 2012". Billboard. Retrieved 2013-01-28. "Billboard Rock Songs for Week of November 3, 2012". Billboard. Retrieved 2013-01-28. "Billboard Rock Songs for Week of November 10, 2012". Billboard. Retrieved 2013-01-28. "Billboard Rock Songs for Week of November 17, 2012". Billboard. Retrieved 2013-01-28. "Billboard Rock Songs for Week of November 24, 2012". Billboard. Retrieved 2013-01-28. "Billboard Rock Songs for Week of December 1, 2012". Billboard. Retrieved 2013-01-28. "Billboard Rock Songs for Week of December 8, 2012". Billboard. Retrieved 2013-01-28. ^ "Billboard Rock Songs – 2013 Year End Charts". Billboard. Retrieved 2013-12-13. "Billboard Rock Songs for Week of April 6, 2013". Billboard. Retrieved 2013-03-28. "Billboard Rock Songs for Week of April 13, 2013". Billboard. Retrieved 2013-04-06. "Billboard Rock Songs for Week of April 20, 2013". Billboard. Retrieved 2013-04-11. "Billboard Rock Songs for Week of April 27, 2013". Billboard. Retrieved 2013-04-19. "Billboard Rock Songs for Week of May 4, 2013". Billboard. Retrieved 2013-04-26. "Billboard Rock Songs for Week of May 11, 2013". Billboard. Retrieved 2013-05-03. "Billboard Rock Songs for Week of May 18, 2013". Billboard. Retrieved 2013-05-16. "Billboard Rock Songs for Week of May 25, 2013". Billboard. Retrieved 2013-05-16. "Billboard Rock Songs for Week of June 1, 2013". Billboard. Retrieved 2013-05-24. "Billboard Rock Songs for Week of June 8, 2013". Billboard. Retrieved 2013-06-11. "Billboard Rock Songs for Week of June 15, 2013". Billboard. Retrieved 2013-06-11. "Billboard Hot Rock Songs – June 22, 2013". Billboard. Retrieved 2013-06-18. "Billboard Hot Rock Songs – June 29, 2013". Billboard. Retrieved 2013-06-20. "Billboard Hot Rock Songs – July 6, 2013". Billboard. Retrieved 2013-06-27. "Billboard Hot Rock Songs – July 13, 2013". Billboard. Retrieved 2013-07-08. "Billboard Hot Rock Songs – July 20, 2013". Billboard. Retrieved 2013-07-11. "Billboard Hot Rock Songs – July 27, 2013". Billboard. Retrieved 2013-07-18. "Billboard Hot Rock Songs – August 3, 2013". Billboard. Retrieved 2013-07-25. "Billboard Hot Rock Songs – August 10, 2013". Billboard. Retrieved 2013-08-01. "Billboard Hot Rock Songs – August 17, 2013". Billboard. Retrieved 2013-08-08. "Billboard Hot Rock Songs – August 24, 2013". Billboard. Retrieved 2013-08-15. "Billboard Hot Rock Songs – August 31, 2013". Billboard. Retrieved 2013-08-22. "Billboard Hot Rock Songs – September 7, 2013". Billboard. Retrieved 2013-08-29. "Billboard Hot Rock Songs – September 14, 2013". Billboard. Retrieved 2013-09-05. "Billboard Hot Rock Songs – September 21, 2013". Billboard. Retrieved 2013-09-12. "Billboard Hot Rock Songs – September 28, 2013". Billboard. Retrieved 2013-09-19. "Billboard Hot Rock Songs – October 5, 2013". Billboard. Retrieved 2013-09-26. "Billboard Hot Rock Songs – October 12, 2013". Billboard. Retrieved 2013-10-03. "Billboard Hot Rock Songs – October 19, 2013". Billboard. Retrieved 2013-10-10. "Billboard Hot Rock Songs – October 26, 2013". Billboard. Retrieved 2013-10-17. "Billboard Hot Rock Songs – November 2, 2013". Billboard. Retrieved 2013-10-24. "Billboard Hot Rock Songs – November 9, 2013". Billboard. Retrieved 2013-10-31. "Billboard Hot Rock Songs – November 16, 2013". Billboard. Retrieved 2013-11-07. "Billboard Hot Rock Songs – November 23, 2013". Billboard. Retrieved 2013-11-14. "Billboard Hot Rock Songs – November 30, 2013". Billboard. Retrieved 2013-11-21. "Billboard Hot Rock Songs – December 7, 2013". Billboard. Retrieved 2013-11-28. "Billboard Hot Rock Songs – December 14, 2013". Billboard. Retrieved 2013-12-05. "Billboard Hot Rock Songs – December 21, 2013". Billboard. Retrieved 2013-12-12. "Billboard Hot Rock Songs – December 28, 2013". Billboard. Retrieved 2013-12-19. "Billboard Hot Rock Songs – January 4, 2014". Billboard. Retrieved 2013-12-27. "Billboard Hot Rock Songs – January 11, 2014". Billboard. Retrieved 2014-01-03. "Billboard Hot Rock Songs – January 18, 2014". Billboard. Retrieved 2014-01-09. "Billboard Hot Rock Songs – January 25, 2014". Billboard. Retrieved 2014-01-16. "Billboard Hot Rock Songs – February 1, 2014". Billboard. Retrieved 2014-01-23. "Billboard Hot Rock Songs – February 8, 2014". Billboard. Retrieved 2014-01-30. "Billboard Hot Rock Songs – February 15, 2014". Billboard. Retrieved 2014-02-06. "Billboard Hot Rock Songs – February 22, 2014". Billboard. Retrieved 2014-02-13. ^ "Billboard Rock Songs – 2014 Year End Charts". Billboard. Retrieved 2014-12-09. "Billboard Hot Rock Songs – March 1, 2014". Billboard. Retrieved 2014-02-20. "Billboard Hot Rock Songs – March 8, 2014". Billboard. Retrieved 2014-02-27. "Billboard Hot Rock Songs – March 15, 2014". Billboard. Retrieved 2014-03-06. "Billboard Hot Rock Songs – March 22, 2014". Billboard. Retrieved 2014-03-13. "Billboard Hot Rock Songs – March 29, 2014". Billboard. Retrieved 2014-03-20. "Billboard Hot Rock Songs – April 5, 2014". Billboard. Retrieved 2014-03-27. "Billboard Hot Rock Songs – April 12, 2014". Billboard. Retrieved 2014-04-03. "Billboard Hot Rock Songs – April 19, 2014". Billboard. Retrieved 2014-04-10. "Billboard Hot Rock Songs – April 26, 2014". Billboard. Retrieved 2014-04-17. "Billboard Hot Rock Songs – May 3, 2014". Billboard. Retrieved 2014-04-24. "Billboard Hot Rock Songs – May 10, 2014". Billboard. Retrieved 2014-05-01. "Billboard Hot Rock Songs – May 17, 2014". Billboard. Retrieved 2014-05-08. "Billboard Hot Rock Songs – May 24, 2014". Billboard. Retrieved 2014-05-15. "Billboard Hot Rock Songs – June 7, 2014". Billboard. Retrieved 2014-05-29. "Billboard Hot Rock Songs – June 14, 2014". Billboard. Retrieved 2014-06-05. "Billboard Hot Rock Songs – June 21, 2014". Billboard. Retrieved 2014-06-12. "Billboard Hot Rock Songs – June 28, 2014". Billboard. Retrieved 2014-06-19. "Billboard Hot Rock Songs – July 5, 2014". Billboard. Retrieved 2014-06-26. "Billboard Hot Rock Songs – July 12, 2014". Billboard. Retrieved 2014-07-03. "Billboard Hot Rock Songs – July 19, 2014". Billboard. Retrieved 2014-07-10. "Billboard Hot Rock Songs – July 26, 2014". Billboard. Retrieved 2014-07-17. "Billboard Hot Rock Songs – August 2, 2014". Billboard. Retrieved 2014-07-24. "Billboard Hot Rock Songs – August 9, 2014". Billboard. Retrieved 2014-07-31. "Billboard Hot Rock Songs – May 31, 2014". Billboard. Retrieved 2014-05-22. "Billboard Hot Rock Songs – August 16, 2014". Billboard. Retrieved 2014-08-07. "Billboard Hot Rock Songs – August 23, 2014". Billboard. Retrieved 2014-08-14. "Billboard Hot Rock Songs – October 11, 2014". Billboard. Retrieved 2014-10-02. "Billboard Hot Rock Songs – October 18, 2014". Billboard. Retrieved 2014-10-09. "Billboard Hot Rock Songs – October 25, 2014". Billboard. Retrieved 2014-10-16. "Billboard Hot Rock Songs – August 30, 2014". Billboard. Retrieved 2014-08-21. "Billboard Hot Rock Songs – September 6, 2014". Billboard. Retrieved 2014-08-28. "Billboard Hot Rock Songs – September 13, 2014". Billboard. Retrieved 2014-09-04. "Billboard Hot Rock Songs – September 20, 2014". Billboard. Retrieved 2014-09-11. "Billboard Hot Rock Songs – September 27, 2014". Billboard. Retrieved 2014-09-18. "Billboard Hot Rock Songs – October 4, 2014". Billboard. Retrieved 2014-09-25. "Billboard Hot Rock Songs – November 1, 2014". Billboard. Retrieved 2014-10-23. "Billboard Hot Rock Songs – November 8, 2014". Billboard. Retrieved 2014-10-30. "Billboard Hot Rock Songs – November 15, 2014". Billboard. Retrieved 2014-11-06. "Billboard Hot Rock Songs – November 22, 2014". Billboard. Retrieved 2014-11-13. "Billboard Hot Rock Songs – November 29, 2014". Billboard. Retrieved 2014-11-20. "Billboard Hot Rock Songs – December 6, 2014". Billboard. Retrieved 2014-11-27. "Billboard Hot Rock Songs – December 13, 2014". Billboard. Retrieved 2014-12-04. "Billboard Hot Rock Songs – December 20, 2014". Billboard. Retrieved 2014-12-11. "Billboard Hot Rock Songs – December 27, 2014". Billboard. Retrieved 2014-12-18. "Billboard Hot Rock Songs – January 3, 2015". Billboard. Retrieved 2014-12-25. "Billboard Hot Rock Songs – January 10, 2015". Billboard. Retrieved 2015-01-01. "Billboard Hot Rock Songs – January 17, 2015". Billboard. Retrieved 2015-01-08. "Billboard Hot Rock Songs – January 24, 2015". Billboard. Retrieved 2015-01-15. "Billboard Hot Rock Songs – January 31, 2015". Billboard. Retrieved 2015-01-22. "Billboard Hot Rock Songs – February 7, 2015". Billboard. Retrieved 2015-01-29. "Billboard Hot Rock Songs – February 14, 2015". Billboard. Retrieved 2015-02-05. "Billboard Hot Rock Songs – February 21, 2015". Billboard. Retrieved 2015-02-12. "Billboard Hot Rock Songs – February 28, 2015". Billboard. Retrieved 2015-02-19. "Billboard Hot Rock Songs – March 7, 2015". Billboard. Retrieved 2015-02-26. "Billboard Hot Rock Songs – March 14, 2015". Billboard. Retrieved 2015-03-05. "Billboard Hot Rock Songs – March 21, 2015". Billboard. Retrieved 2015-03-12. "Billboard Hot Rock Songs – March 28, 2015". Billboard. Retrieved 2015-03-19. "Billboard Hot Rock Songs – April 4, 2015". Billboard. Retrieved 2015-03-26. ^ "Billboard Rock Songs – 2015 Year End Charts". Billboard. Retrieved 2015-12-09. "Billboard Hot Rock Songs – April 11, 2015". Billboard. Retrieved 2015-04-02. "Billboard Hot Rock Songs – April 18, 2015". Billboard. Retrieved 2015-04-09. "Billboard Hot Rock Songs – April 25, 2015". Billboard. Retrieved 2015-04-16. "Billboard Hot Rock Songs – May 2, 2015". Billboard. Retrieved 2015-04-23. "Billboard Hot Rock Songs – May 9, 2015". Billboard. Retrieved 2015-04-30. "Billboard Hot Rock Songs – May 16, 2015". Billboard. Retrieved 2015-05-07. "Billboard Hot Rock Songs – May 23, 2015". Billboard. Retrieved 2015-05-14. "Billboard Hot Rock Songs – May 30, 2015". Billboard. Retrieved 2015-05-21. "Billboard Hot Rock Songs – June 6, 2015". Billboard. Retrieved 2015-05-28. "Billboard Hot Rock Songs – June 13, 2015". Billboard. Retrieved 2015-06-04. "Billboard Hot Rock Songs – June 20, 2015". Billboard. Retrieved 2015-06-11. "Billboard Hot Rock Songs – June 27, 2015". Billboard. Retrieved 2015-06-18. "Billboard Hot Rock Songs – July 4, 2015". Billboard. Retrieved 2015-06-25. "Billboard Hot Rock Songs – July 11, 2015". Billboard. Retrieved 2015-07-02. "Billboard Hot Rock Songs – July 18, 2015". Billboard. Retrieved 2015-07-09. "Billboard Hot Rock Songs – July 25, 2015". Billboard. Retrieved 2015-07-14. "Billboard Hot Rock Songs – August 1, 2015". Billboard. Retrieved 2015-07-21. "Billboard Hot Rock Songs – August 8, 2015". Billboard. Retrieved 2015-07-28. "Billboard Hot Rock Songs – August 15, 2015". Billboard. Retrieved 2015-08-04. "Billboard Hot Rock Songs – August 22, 2015". Billboard. Retrieved 2015-08-11. "Billboard Hot Rock Songs – August 29, 2015". Billboard. Retrieved 2015-08-19. "Billboard Hot Rock Songs – September 5, 2015". Billboard. Retrieved 2015-09-01. "Billboard Hot Rock Songs – September 12, 2015". Billboard. Retrieved 2015-09-01. "Billboard Hot Rock Songs – September 19, 2015". Billboard. Retrieved 2015-09-09. "Billboard Hot Rock Songs – September 26, 2015". Billboard. Retrieved 2015-09-15. "Billboard Hot Rock Songs – October 3, 2015". Billboard. Retrieved 2015-09-22. "Billboard Hot Rock Songs – October 10, 2015". Billboard. Retrieved 2015-09-29. "Billboard Hot Rock Songs – October 17, 2015". Billboard. Retrieved 2015-10-06. "Billboard Hot Rock Songs – October 24, 2015". Billboard. Retrieved 2015-10-13. Rutherford, Kevin (2015-10-20). "Elle King Crowned No. 1 on Hot Rock Songs With 'Ex's & Oh's'". Billboard. Retrieved 2015-11-25. "Billboard Hot Rock Songs – November 7, 2015". Billboard. Retrieved 2015-10-27. "Billboard Hot Rock Songs – November 14, 2015". Billboard. Retrieved 2015-11-03. "Billboard Hot Rock Songs – November 21, 2015". Billboard. Retrieved 2015-11-10. "Billboard Hot Rock Songs – November 28, 2015". Billboard. Retrieved 2015-11-17. "Billboard Hot Rock Songs – December 5, 2015". Billboard. Retrieved 2015-11-24. "Billboard Hot Rock Songs – December 12, 2015". Billboard. Retrieved 2015-12-01. "Billboard Hot Rock Songs – December 19, 2015". Billboard. Retrieved 2015-12-08. "Billboard Hot Rock Songs – December 26, 2015". Billboard. Retrieved 2015-12-15. "Billboard Hot Rock Songs – January 2, 2016". Billboard. Retrieved 2015-12-22. ^ "Billboard Rock Songs – 2016 Year End Charts". Billboard. Retrieved 2017-02-14. Lipshutz, Jason (2015-12-28). "Twenty One Pilots Scores First No. 1 Single on Rock Songs Chart". Fuse. Retrieved 2016-01-21. Trust, Gary (2016-01-04). "Adele's 'Hello' Tops Hot 100 for 10th Week as Twenty One Pilots Fly to Top 10". Billboard. Retrieved 2016-01-04. Trust, Gary (2016-01-11). "Justin Bieber's 'Sorry' Dethrones Adele's 'Hello' Atop Hot 100". Billboard. Retrieved 2016-01-11. "Billboard Hot Rock Songs – January 30, 2016". Billboard. Retrieved 2016-01-20. Trust, Gary (2016-01-25). "Justin Bieber Nos. 1 & 2 on Hot 100, The Chainsmokers Hit Top 10". Billboard. Retrieved 2016-01-25. Trust, Gary (2016-02-16). "Justin Bieber Retakes No. 1 Spot From Zayn on Hot 100". Billboard. Retrieved 2016-02-16. "Billboard Hot Rock Songs – May 21, 2016". Billboard. Retrieved 2016-05-10. "Billboard Hot Rock Songs – May 28, 2016". Billboard. Retrieved 2016-05-17. "Billboard Hot Rock Songs – June 4, 2016". Billboard. Retrieved 2016-05-24. "Billboard Hot Rock Songs – June 11, 2016". Billboard. Retrieved 2016-06-01. "Billboard Hot Rock Songs – June 18, 2016". Billboard. Retrieved 2016-06-08. Trust, Gary (2016-05-02). 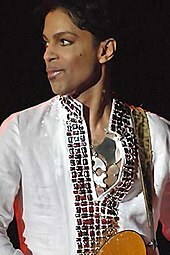 "Prince's 'Purple Rain' Is Week's Top-Selling Song Again, as Eight of His Hits Chart on Hot 100". Billboard. Retrieved 2016-05-02. "Billboard Hot Rock Songs – June 25, 2016". Billboard. Retrieved 2016-06-15. "Billboard Hot Rock Songs – July 2, 2016". Billboard. Retrieved 2016-06-21. "Billboard Hot Rock Songs – July 9, 2016". Billboard. Retrieved 2016-06-28. "Billboard Hot Rock Songs – July 16, 2016". Billboard. Retrieved 2016-07-06. "Billboard Hot Rock Songs – July 23, 2016". Billboard. Retrieved 2016-07-12. "Billboard Hot Rock Songs – July 30, 2016". Billboard. Retrieved 2016-07-19. "Billboard Hot Rock Songs – August 6, 2016". Billboard. Retrieved 2016-07-26. "Billboard Hot Rock Songs – August 13, 2016". Billboard. Retrieved 2016-08-02. "Billboard Hot Rock Songs – August 20, 2016". Billboard. Retrieved 2016-08-09. "Billboard Hot Rock Songs – August 27, 2016". Billboard. Retrieved 2016-08-15. "Billboard Hot Rock Songs – September 3, 2016". Billboard. Retrieved 2016-08-22. "Billboard Hot Rock Songs – September 10, 2016". Billboard. Retrieved 2016-08-29. "Billboard Hot Rock Songs – September 17, 2016". Billboard. Retrieved 2016-09-05. "Billboard Hot Rock Songs – September 24, 2016". Billboard. Retrieved 2016-09-13. "Billboard Hot Rock Songs – October 1, 2016". Billboard. Retrieved 2016-09-20. "Billboard Hot Rock Songs – October 8, 2016". Billboard. Retrieved 2016-09-27. "Billboard Hot Rock Songs – October 15, 2016". Billboard. Retrieved 2016-10-03. "Billboard Hot Rock Songs – October 22, 2016". Billboard. Retrieved 2016-10-10. "Billboard Hot Rock Songs – October 29, 2016". Billboard. Retrieved 2016-10-17. "Billboard Hot Rock Songs – November 5, 2016". Billboard. Retrieved 2016-10-24. "Billboard Hot Rock Songs – November 12, 2016". Billboard. Retrieved 2016-10-31. "Billboard Hot Rock Songs – November 19, 2016". Billboard. Retrieved 2016-11-08. "Billboard Hot Rock Songs – November 26, 2016". Billboard. Retrieved 2016-11-15. "Billboard Hot Rock Songs – December 3, 2016". Billboard. Retrieved 2016-11-22. "Billboard Hot Rock Songs – December 10, 2016". Billboard. Retrieved 2016-11-29. "Billboard Hot Rock Songs – December 17, 2016". Billboard. Retrieved 2016-12-06. "Billboard Hot Rock Songs – December 24, 2016". Billboard. Retrieved 2016-12-13. "Billboard Hot Rock Songs – December 31, 2017". Billboard. Retrieved 2016-12-20. "Billboard Hot Rock Songs – January 7, 2017". Billboard. Retrieved 2016-12-27. "Billboard Hot Rock Songs – January 14, 2017". Billboard. Retrieved 2017-01-04. "Billboard Hot Rock Songs – January 21, 2017". Billboard. Retrieved 2017-01-10. "Billboard Hot Rock Songs – January 28, 2017". Billboard. Retrieved 2017-01-18. "Billboard Hot Rock Songs – February 4, 2017". Billboard. Retrieved 2017-01-24. "Billboard Hot Rock Songs – February 11, 2017". Billboard. Retrieved 2017-01-31. "Billboard Hot Rock Songs – February 18, 2017". Billboard. Retrieved 2017-02-07. "Billboard Hot Rock Songs – February 25, 2017". Billboard. Retrieved 2017-02-14. "Billboard Hot Rock Songs – March 4, 2017". Billboard. Retrieved 2017-02-21. "Billboard Hot Rock Songs – March 11, 2017". Billboard. Retrieved 2017-02-28. "Billboard Hot Rock Songs – March 18, 2017". Billboard. Retrieved 2017-03-07. ^ "Billboard Rock Songs – 2017 Year End Charts". Billboard. Retrieved 14 January 2019. "Billboard Hot Rock Songs – March 25, 2017". Billboard. Retrieved 2017-03-14. "Billboard Hot Rock Songs – April 1, 2017". Billboard. Retrieved 2017-03-21. "Billboard Hot Rock Songs – April 8, 2017". Billboard. Retrieved 2017-03-28. "Billboard Hot Rock Songs – April 15, 2017". Billboard. Retrieved 2017-04-04. "Billboard Hot Rock Songs – April 22, 2017". Billboard. Retrieved 2017-04-11. "Billboard Hot Rock Songs – April 29, 2017". Billboard. Retrieved 2017-04-18. "Billboard Hot Rock Songs – May 6, 2017". Billboard. Retrieved 2017-04-25. "Billboard Hot Rock Songs – May 13, 2017". Billboard. Retrieved 2017-05-02. "Billboard Hot Rock Songs – May 20, 2017". Billboard. Retrieved 2017-05-09. "Billboard Hot Rock Songs – May 27, 2017". Billboard. Retrieved 2017-05-16. "Billboard Hot Rock Songs – June 3, 2017". Billboard. Retrieved 2017-05-23. "Billboard Hot Rock Songs – June 10, 2017". Billboard. Retrieved 2017-05-31. "Billboard Hot Rock Songs – June 17, 2017". Billboard. Retrieved 2017-06-06. "Billboard Hot Rock Songs – June 24, 2017". Billboard. Retrieved 2017-06-13. "Billboard Hot Rock Songs – July 1, 2017". Billboard. Retrieved 2017-06-20. "Billboard Hot Rock Songs – July 8, 2017". Billboard. Retrieved 2017-06-27. "Luis Fonsi & Daddy Yankee Rule Hot 100, Imagine Dragons Hit Top 10". Billboard. Retrieved 2017-07-03. "Billboard Hot Rock Songs – July 22, 2017". Billboard. Retrieved 2017-07-11. "Billboard Hot Rock Songs – July 29, 2017". Billboard. Retrieved 2017-07-18. "Billboard Hot Rock Songs – August 5, 2017". Billboard. Retrieved 2017-07-26. "Billboard Hot Rock Songs – August 12, 2017". Billboard. Retrieved 2017-08-02. "Billboard Hot Rock Songs – August 19, 2017". Billboard. Retrieved 2017-08-08. "Billboard Hot Rock Songs – August 26, 2017". Billboard. Retrieved 2017-08-15. "Billboard Hot Rock Songs – September 2, 2017". Billboard. Retrieved 2017-08-22. "Billboard Hot Rock Songs – September 9, 2017". Billboard. Retrieved 2017-08-29. "Billboard Hot Rock Songs – September 16, 2017". Billboard. Retrieved 2017-09-06. "Billboard Hot Rock Songs – September 23, 2017". Billboard. Retrieved 2017-09-12. "Billboard Hot Rock Songs – September 30, 2017". Billboard. Retrieved 2017-09-19. "Billboard Hot Rock Songs – October 7, 2017". Billboard. Retrieved 2017-09-26. "Billboard Hot Rock Songs – October 14, 2017". Billboard. Retrieved 2017-10-03. "Billboard Hot Rock Songs – October 21, 2017". Billboard. Retrieved 2017-10-10. "Billboard Hot Rock Songs – October 28, 2017". Billboard. Retrieved 2017-10-17. "Billboard Hot Rock Songs – November 4, 2017". Billboard. Retrieved 2017-10-24. "Billboard Hot Rock Songs – November 11, 2017". Billboard. Retrieved 2017-10-31. ^ "Billboard Rock Songs – 2018 Year End Charts". Billboard. Retrieved 14 January 2019. "Billboard Hot Rock Songs – November 18, 2017". Billboard. Retrieved 2017-11-07. "Billboard Hot Rock Songs – November 25, 2017". Billboard. Retrieved 2017-11-14. "Billboard Hot Rock Songs – December 2, 2017". Billboard. Retrieved 2017-11-21. "Billboard Hot Rock Songs – December 9, 2017". Billboard. Retrieved 2017-11-28. "Billboard Hot Rock Songs – December 16, 2017". Billboard. Retrieved 2017-12-05. "Billboard Hot Rock Songs – December 23, 2017". Billboard. Retrieved 2017-12-12. "Billboard Hot Rock Songs – December 30, 2017". Billboard. Retrieved 2017-12-19. "Billboard Hot Rock Songs – January 3,". Billboard. Retrieved 2017-12-27. "Billboard Hot Rock Songs – January 6,". Billboard. Retrieved 2018-01-02. "Billboard Hot Rock Songs – January 13,". Billboard. Retrieved 2018-01-09. "Billboard Hot Rock Songs – January 20,". Billboard. Retrieved 2018-01-17. "Billboard Hot Rock Songs – January 27,". Billboard. Retrieved 2018-01-23. "Billboard Hot Rock Songs – February 3,". Billboard. Retrieved 2018-01-30. "Billboard Hot Rock Songs – February 10,". Billboard. Retrieved 2018-02-06. "Billboard Hot Rock Songs – February 17,". Billboard. Retrieved 2018-02-13. "Billboard Hot Rock Songs – February 24,". Billboard. Retrieved 2018-02-21. "Billboard Hot Rock Songs – March 3,". Billboard. Retrieved 2018-02-27. "Billboard Hot Rock Songs – March 10,". Billboard. Retrieved 2018-03-06. "Billboard Hot Rock Songs – March 17,". Billboard. Retrieved 2018-03-13. "Billboard Hot Rock Songs – March 24,". Billboard. Retrieved 2018-03-20. "Billboard Hot Rock Songs – March 31,". Billboard. Retrieved 2018-03-27. "Billboard Hot Rock Songs – July 31,". Billboard. Retrieved 2018-07-31. "Billboard Hot Rock Songs – August 7,". Billboard. Retrieved 2018-08-07. "Billboard Hot Rock Songs – August 14,". Billboard. Retrieved 2018-08-14. "Billboard Hot Rock Songs – April 7,". Billboard. Retrieved 2018-04-03. "Billboard Hot Rock Songs – April 14,". Billboard. Retrieved 2018-04-10. "Billboard Hot Rock Songs – April 21,". Billboard. Retrieved 2018-04-17. "Billboard Hot Rock Songs – April 28,". Billboard. Retrieved 2018-04-24. "Billboard Hot Rock Songs – May 5,". Billboard. Retrieved 2018-05-01. "Billboard Hot Rock Songs – May 12,". Billboard. Retrieved 2018-05-08. "Billboard Hot Rock Songs – May 19,". Billboard. Retrieved 2018-05-22. "Billboard Hot Rock Songs – May 26,". Billboard. Retrieved 2018-05-22. "Billboard Hot Rock Songs – June 2,". Billboard. Retrieved 2018-05-30. "Billboard Hot Rock Songs – June 9,". Billboard. Retrieved 2018-06-05. "Billboard Hot Rock Songs – June 16,". Billboard. Retrieved 2018-06-12. "Billboard Hot Rock Songs – June 23,". Billboard. Retrieved 2018-06-19. "Billboard Hot Rock Songs – June 30,". Billboard. Retrieved 2018-06-26. "Billboard Hot Rock Songs – July 7,". Billboard. Retrieved 2018-07-03. "Billboard Hot Rock Songs – July 14,". Billboard. Retrieved 2018-07-10. "Billboard Hot Rock Songs – July 21,". Billboard. Retrieved 2018-07-17. "Billboard Hot Rock Songs – July 28,". Billboard. Retrieved 2018-07-24. "Billboard Hot Rock Songs – August 21,". Billboard. Retrieved 2018-08-21. "Billboard Hot Rock Songs – August 28,". Billboard. Retrieved 2018-08-28. "Billboard Hot Rock Songs – September 4,". Billboard. Retrieved 2018-09-05. "Billboard Hot Rock Songs – September 11,". Billboard. Retrieved 2018-09-11. "Billboard Hot Rock Songs – September 18,". Billboard. Retrieved 2018-09-18. "Billboard Hot Rock Songs – September 25,". Billboard. Retrieved 2018-09-25. "Billboard Hot Rock Songs – October 2,". Billboard. Retrieved 2018-10-02. "Billboard Hot Rock Songs – October 9,". Billboard. Retrieved 2018-10-09. "Billboard Hot Rock Songs – October 16,". Billboard. Retrieved 2018-10-16. "Billboard Hot Rock Songs – October 23,". Billboard. Retrieved 2018-10-23. "Billboard Hot Rock Songs – October 30,". Billboard. Retrieved 2018-10-30. "Billboard Hot Rock Songs – November 10,". Billboard. Retrieved 2018-11-06. "Billboard Hot Rock Songs – November 17,". Billboard. Retrieved 2018-11-13. "Billboard Hot Rock Songs – November 24,". Billboard. Retrieved 2018-11-20. "Billboard Hot Rock Songs – December 1,". Billboard. Retrieved 2018-11-27. "Billboard Hot Rock Songs – December 8,". Billboard. Retrieved 2018-12-04. "Billboard Hot Rock Songs – December 15,". Billboard. Retrieved 2018-12-11. "Billboard Hot Rock Songs – December 22,". Billboard. Retrieved 2018-12-18. "Billboard Hot Rock Songs – December 29,". Billboard. Retrieved 2018-12-25. "Billboard Hot Rock Songs – January 5,". Billboard. Retrieved 2019-01-01. "Billboard Hot Rock Songs – January 12,". Billboard. Retrieved 2019-01-08. "Billboard Hot Rock Songs – January 19,". Billboard. Retrieved 2019-01-15. "Billboard Hot Rock Songs – January 26,". Billboard. Retrieved 2019-01-23. "Billboard Hot Rock Songs – February 2,". Billboard. Retrieved 2019-01-29. "Billboard Hot Rock Songs – February 9,". Billboard. Retrieved 2019-02-05. "Billboard Hot Rock Songs – February 16,". Billboard. Retrieved 2019-02-12. "Billboard Hot Rock Songs – February 23,". Billboard. Retrieved 2019-02-19. "Billboard Hot Rock Songs – March 2,". Billboard. Retrieved 2019-02-26. "Billboard Hot Rock Songs – March 9,". Billboard. Retrieved 2019-03-05. "Billboard Hot Rock Songs – March 16,". Billboard. Retrieved 2019-03-12. "Billboard Hot Rock Songs – March 23,". Billboard. Retrieved 2019-03-19. "Billboard Hot Rock Songs – March 30,". Billboard. Retrieved 2019-03-26. "Billboard Hot Rock Songs – April 6,". Billboard. Retrieved 2019-04-02. "Billboard Hot Rock Songs – April 13,". Billboard. Retrieved 2019-04-09. "Billboard Hot Rock Songs – April 20,". Billboard. Retrieved 2019-04-16. "Billboard Hot Rock Songs – April 27,". Billboard. Retrieved 2019-04-24. ^ "Imagine Dragons Album & Song Chart History – Rock Songs". Billboard. Prometheus Global Media. Retrieved 2018-04-03. ^ "Twenty one pilots Album & Song Chart History – Rock Songs". Billboard. Prometheus Global Media. Retrieved 2016-06-14. ^ "Foo Fighters Album & Song Chart History – Rock Songs". Billboard. Prometheus Global Media. Retrieved 2015-11-10. ^ "Linkin Park Album & Song Chart History – Rock Songs". Billboard. Prometheus Global Media. Retrieved 2015-11-10. ^ "Alice in Chains Album & Song Chart History – Rock Songs". Billboard. Prometheus Global Media. Retrieved 2015-11-10. ^ "The Black Keys Album & Song Chart History – Rock Songs". Billboard. Prometheus Global Media. Retrieved 2015-11-10. ^ "Fun Album & Song Chart History – Rock Songs". Billboard. Prometheus Global Media. Retrieved 2015-11-10. ^ "Green Day Album & Song Chart History – Rock Songs". Billboard. Prometheus Global Media. Retrieved 2015-11-10. ^ "Three Days Grace Album & Song Chart History – Rock Songs". Billboard. Prometheus Global Media. Retrieved 2015-11-10.